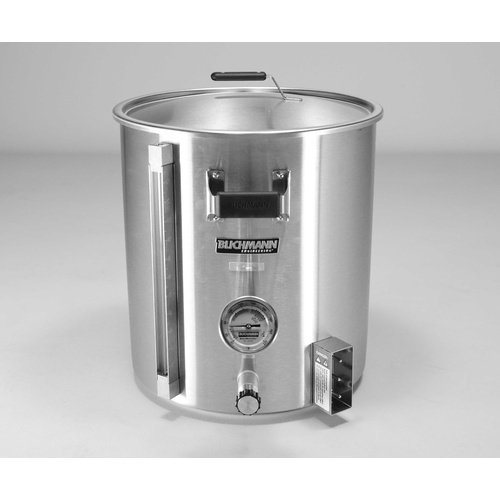 If you want to create a truly professional brewing setup or upgrade your current operation, there are few brew kettles more high-tech than the BoilerMaker™ G2 Electric Brew Pot from Blichmann Engineering. We offers this high-quality electric pot because of its numerous features and weld-free construction, and we recommend it to anyone who wants an amazing electric kettle that you won’t have to upgrade with each passing year. 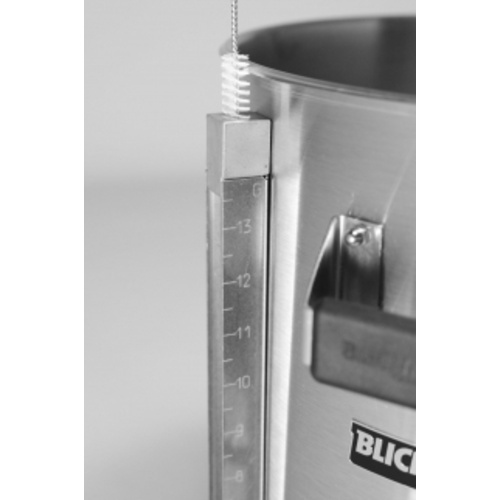 This 30 gallon brew pot features a linear flow drain valve that can be moved to face in any direction, and it even disassembles in mere seconds for easy cleaning. Cool touch, custom molded grips make it safe to carry, while the easy-to-read sight gauge and patented BrewMometer™ keep you constantly informed about the state of your brew. The BoilerMaker™ G2 Electric Brew Pot also works with accessories like the patented Button Louver™ false bottom, HopBlocker™ and AutoSparge™ that you won’t find on just any standard brew kettle, meaning that it is truly in a league of its own. Patent pending parabolic valve provides linear flow for unparalleled flow control. 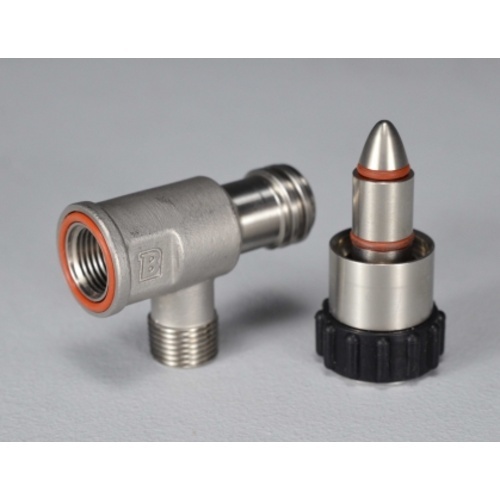 Built in 90 degree outlet can be oriented at any angle to make hose routing simple and kink free. Cool touch silicone grip makes handling under fire easy.